Stephanie Rothenberg is currently in the ensemble on Broadway in “Sunset Boulevard” with Glenn Close. Prior to appearing in “Sunset Boulevard,” Rothenberg was a part of the original Broadway ensemble of “How to Succeed in Business Without Really Trying” starring Daniel Radcliffe and understudied the role of Rosemary, performing it many times opposite Radcliffe. She then assumed the role full time when Nick Jonas replaced Daniel. Between Broadway appearances Stephanie starred as Maria in “The Sound of Music” at the Stratford Festival, she appeared in Aziz Ansari’s popular Netflix show “Master of None” and acted in an award winning short film that might be on its way to an Oscar nod in 2018. 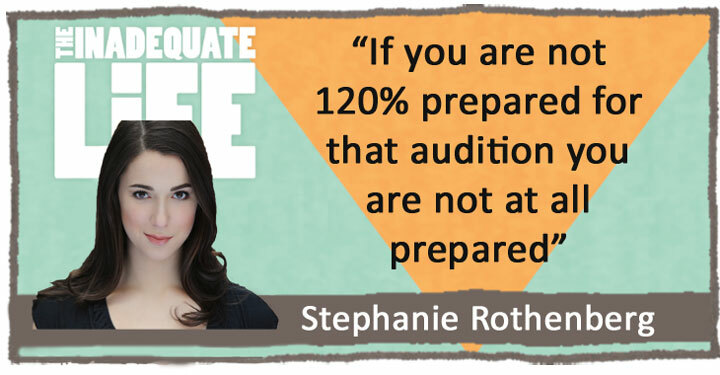 I spoke with Stephanie between performances in New York, our conversation, which covers the highs and lows of life onstage, will inspire anyone who has had a bad audition, or a bunch of call-backs (but didn’t get the job) to work smarter and harder. Check out episodes that also mention Broadway, Musical Theatre, Stratford Festival.